The owner of a Grand Rapids, Minnesota apartment complex has been charged with violating the Fair Housing Act by denying a request from a disabled woman to reside in her apartment with a medically-prescribed support animal. The Fair Housing Act makes it unlawful for a housing provider to refuse to make a reasonable accommodation in its rules, policies, practices, or services when needed to provide persons with disabilities an equal opportunity to use or enjoy a dwelling. 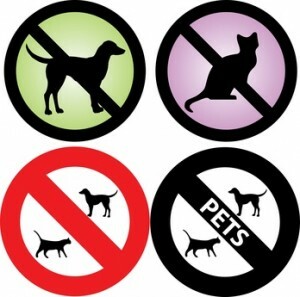 HUD has voiced its commitment to enforcing rules regarding companion animals, and has filed a number of prosecutions recently against landlords who attempted to apply their standard pet policies to companion animal situations. According to HUD’s charge, the tenant obtained a letter from a medical professional treating her explaining that she was disabled within the meaning of the Fair Housing Act and needed a support animal to alleviate symptoms associated with her disabilities. The tenant claims that when she tried to present the letter to the property owner, he refused to read it, threw the note on the floor, and yelled at the tenant. The owner later offered to let the tenant keep her support animal if she tripled her security deposit, according to HUD. If convicted, the landlord could be ordered to pay fines to the government, damages to the victim, and costs like attorneys fees. A judge also could order that the landlord avoid discrimination of this nature in the future, that his property management policies be amended, or that he undergo special training or supervision.